Designing a bathroom for a house that didn’t have one when it was built? Here are two approaches. Unless you’re a museum curator, authenticity will not be high on the list when it comes to putting modern bathrooms into an old house. One approach: keep it simple and traditional. 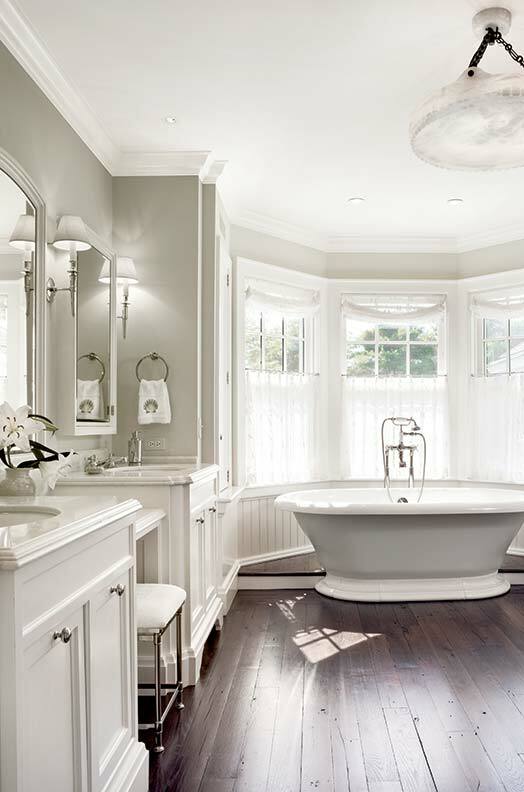 The master bath on these pages, designed for a recent addition to a Federal period house, defaults to Colonial Revival styling. The room could date to 1920, or last year. Painted woodwork is similar to that in the rest of the house. 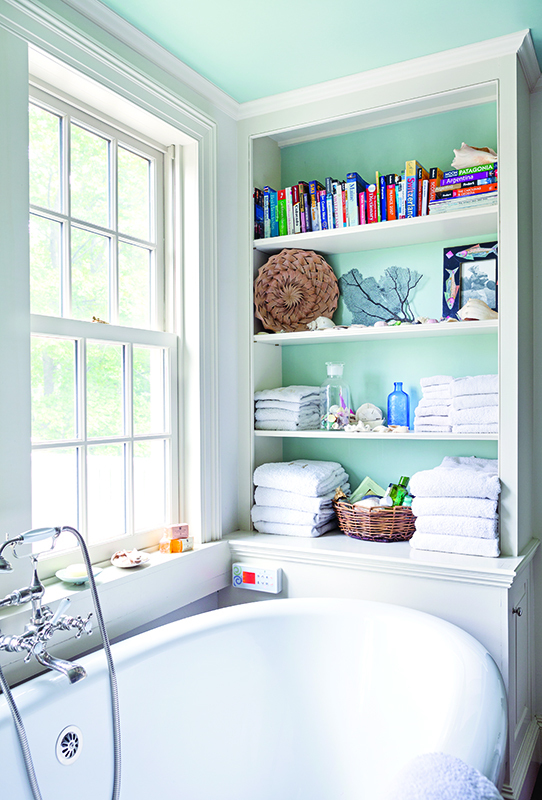 A freestanding tub in a window alcove feels like a window seat, enhanced by the “library shelves” conveniently placed. Colonial Revival sconces—electrified candle brackets with little shades—are a simple but pretty touch. 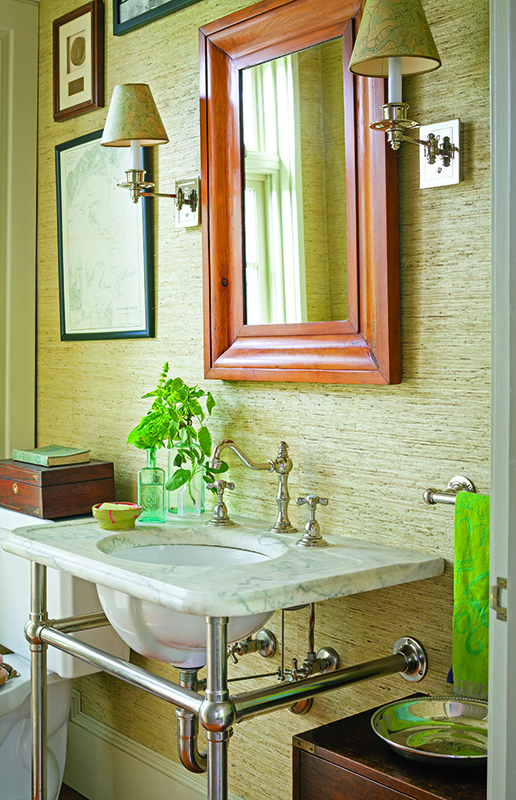 Marble tops an unfussy sink console on metal tubing, conjuring up both washstands and early hotel sinks. The white subway tile, too, is a standard finish from the early 20th century, when old houses often got indoor plumbing. 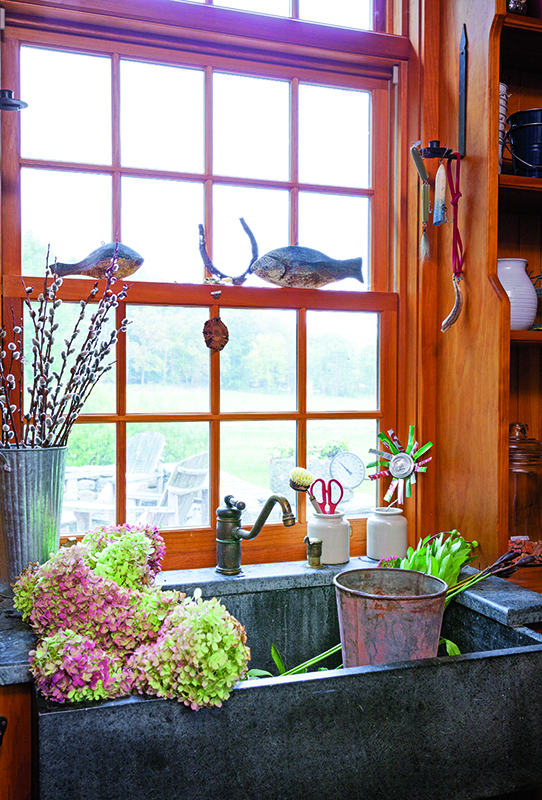 Several approaches are tried-and-true when it comes to designing a bathroom appropriate for the pre-1860 house. You sure don’t want to replicate “an original,” and authenticity isn’t high on the list here. 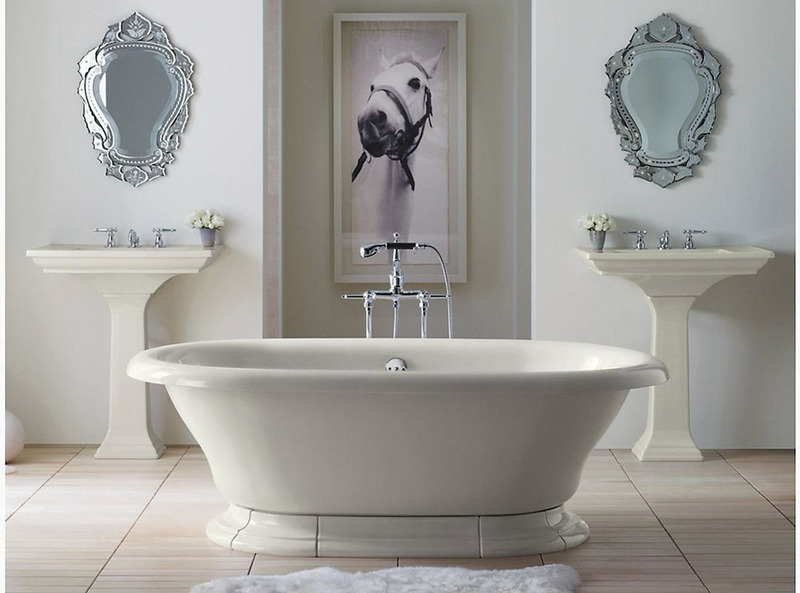 The goal is simply to make the bathroom, whether new or remodeled, fit in. 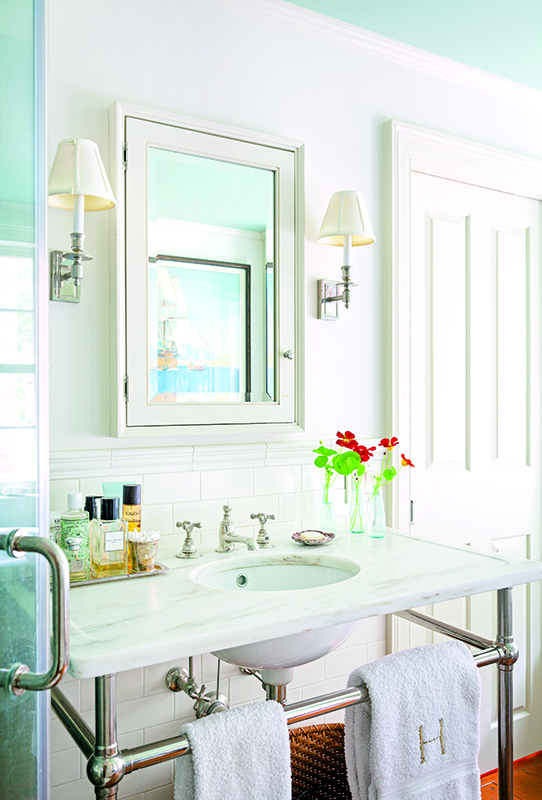 The master bath was enlarged and re-imagined for an existing Shingle Style house.